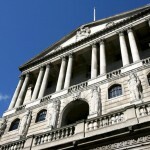 How high could interest rates go? UPDATE: This post relates to June 2013. For the latest interest rate prediction click here. So when will interest rates go up? UPDATE: This post relates to the May 2013, for the most recent interest prediction click here. So when will interest rates go up? So when will interest rates go up? Thinking of remortgaging before rates go up?